What Is Session Road In Bloom? Session Road in Bloom is an annual event or also called a “Traditional Event” during the celebration of the Panagbenga or the Baguio Flower Festival. 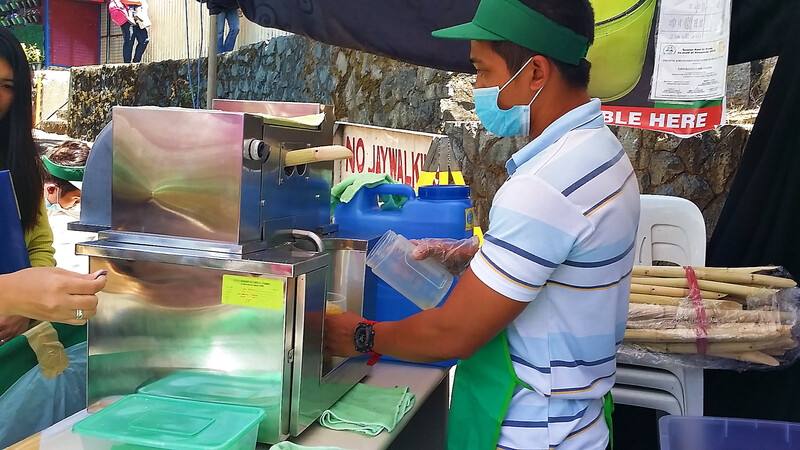 During the Session road in bloom local entrepreneurs from Baguio City and other provinces will be able to showcase their products at Session Road. This main road in the city of Baguio is closed to traffic for one week. The closing of session road will start after the Grand Float Parade and will end midnight after the Panagbenga closing ceremonies. As we’ve stated, the Session road in bloom is an opportunity for local entrepreneurs to showcase their products. What seems to be prominent and constant during the Session road in bloom are the different food stalls offering different menu that will surely delight your tastebuds. Be sure to check out the Inihaw Republic to satisfy your craving for grilled meat. 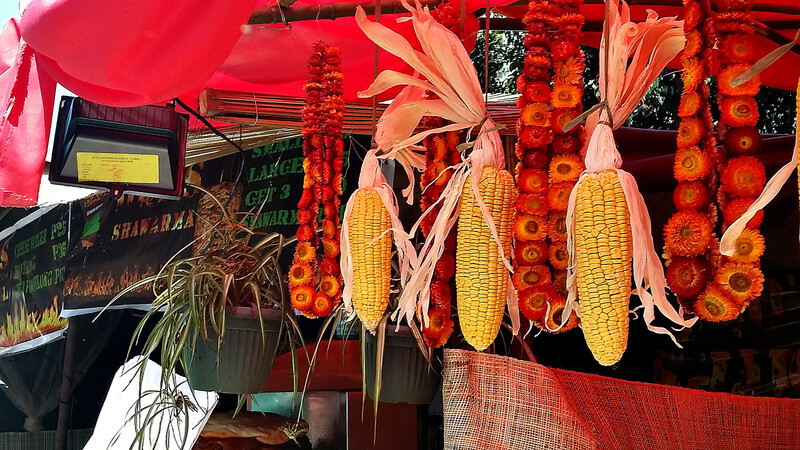 If you are craving for Baguio Longganisa (Sausage) head on to either one of these stalls, Alabanza, Enriquez or Noefe’s as they all serve authentic Baguio Longganisa and more. 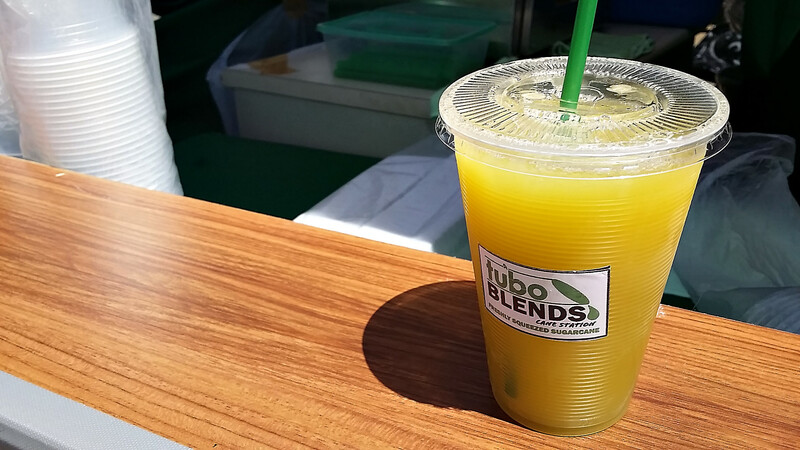 To quench your thirst we’ve found a small kiosk just below the Baguio City Post Office, which offer Sugar Cane juice, and yes they make the juice from squeezing the sugar cane, add a little bit of ice and few drops of lime juice and you have are really sweet and refreshing drink. If you are not fond of eating you might want to try to shop around for souvenir items, shoes, plants and furniture. At night you will be entertained by the different performances at the stage near the PLDT office at the top of Session Road. Whatever it is that tickle your fancy we’re pretty sure you can find one at Session Road in Bloom. The best thing about attending and buying from the stalls at Session road in Bloom is the fact that you are able to support local entrepreneurs, so if you have nothing important to do this weekend you might want to join in the fun at the Panagbenga 2015 Session Road in Bloom. Can’t attend this years Panagbenga 2015 Session Road in Bloom? No worries, we’ve prepared a short video for you to see some of the exciting events at Session Road.